Description: Examines efforts in Los Angeles, Washington DC, Chicago, Salt Lake City, San Jose, and other cities to reclaim postindustrial urban riverside land for use as open space, parks and housing.Today's urban riverfronts are changing. The decline of river commerce and riverside industry has made riverfront land once used for warehouses, factories, and loading docks available for open space, parks, housing, and nonindustrial uses. Urban rivers, which once functioned as open sewers for cities, are now seen as part of larger watershed ecosystems. Rivertown examines urban river restoration efforts across the United States, presenting case studies from Los Angeles; Washington, D.C.; Portland, Oregon; Chicago; Salt Lake City; and San Jose. It also analyzes the roles of the federal government (in particular, the U.S. Army Corps of Engineers) and citizen activism in urban river politics. A postscript places New Orleans's experience with Hurricane Katrina in the broader context of the national riverside land-use debate. 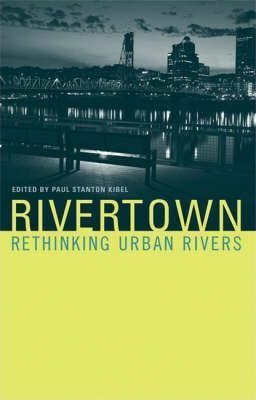 Each case study in Rivertown considers the critical questions of who makes decisions about our urban rivers, who pays to implement these decisions, and who ultimately benefits or suffers from these decisions. In Los Angeles, for example, local nonprofit and academic research groups played crucial roles, whereas Chicago relied on a series of engineering interventions. Some cases--such as the innovative cooperative framework adopted to address problems in the Guadalupe River watershed--offer models for other areas. In each case, authors evaluate the ecological issues and consider urban river restoration projects in relation to other urban economic and environmental initiatives in the region. Rivertown is a valuable resource for urban planners and citizen groups as well as for scholars.